I have an older Torit Mic model dust collector. 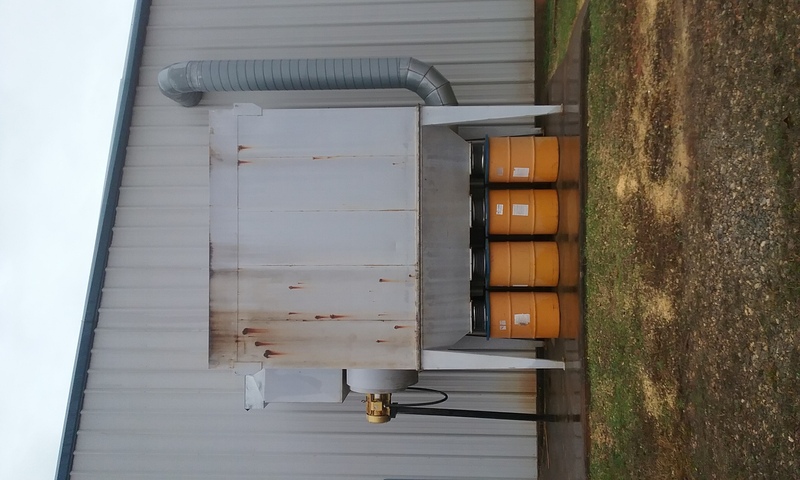 It has filter bags in the upper part and it has eight 55 gallon drums underneath it to collect the dust and wood shavings. The collector is hooked up to my planer, moulder, widebelt sander, and ripsaw. I normally only use one machine at a time. The collector does a great job, but the drums fill up so fast. 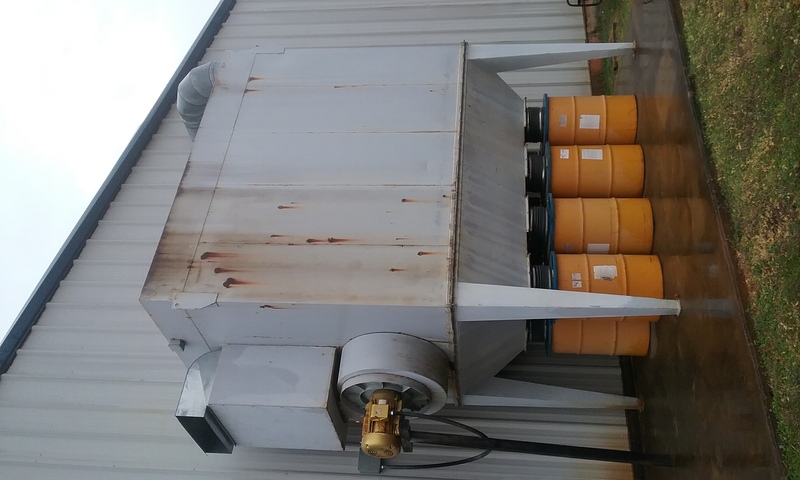 I am wondering if there is a way to do away with the drums and build a sheet metal box that would attach to the bottom of the dust collector and then have a pipe running from the box that would blow the shavings into an enclosed box trailer. Is this even possible? If it is, can someone help me out with how to go about doing it? Thank you very much for your help. That is possible. 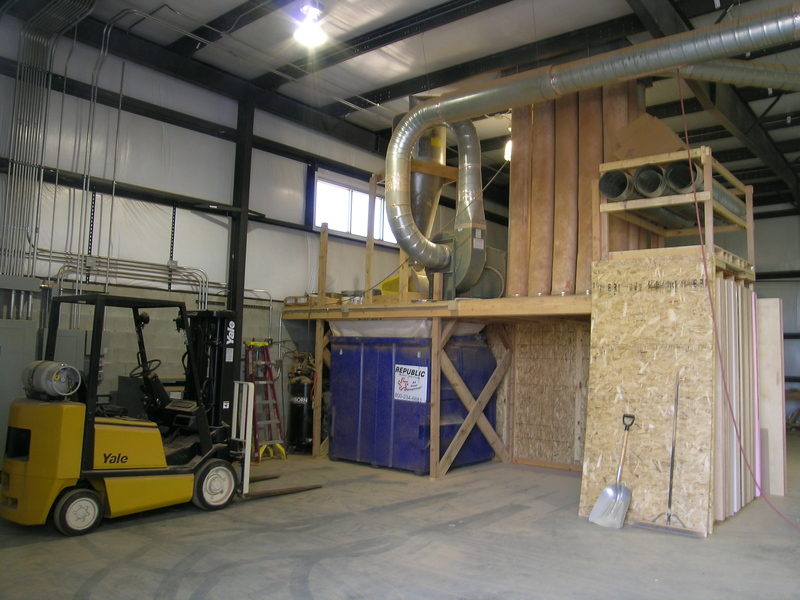 It is normally done with a Rotary Airlock and a closed loop blower system. You should be able to find some posts about things like this in the forums. You might want to explore just dumping it into a hopper. Not sure of your setup like this. Here is an example of a large system. Hard to understand if you don't know what you are looking at. The concept is simple. You have a blower inline in a circular duct run. Part of that run goes into a sealed dumpster and back out of a sealed dumpster. You need a rotary airlock on the bottom of the collector to seal it. There are these types of airlocks. Here are some install shots of closed loop systems. You could call them for info. Thank you, Bill. I really appreciate all of the information. I'm going to look at all of the links that you sent me and see which set up would suit me best. Thanks again for your help. No problem I had researched all that in the past. The system in the photo shows the rotary air lock inlace just above the blue dumpster. The air lock keeps the pressure in the system to force the air thru the filters, but the shavings drop out, with no pressure, to an open container below. Or an open conveyor will catch the shavings, moving them to another location. Same with a pipe and a low velocity blower. Or a grain transfer pipe with a spiral drive. Thank you, David. I appreciate the information and the picture. Im thinking about using a pipe and a blower to go from a rotary airlock valve to an open trailer. Do you have any pictures or information about the blower that I would need to blow the shavings from the airlock to the trailer? Also, I had someone tell me that my pipe size from the airlock to the trailer only needs to be app. 6" in diameter. Does that sound right to you? 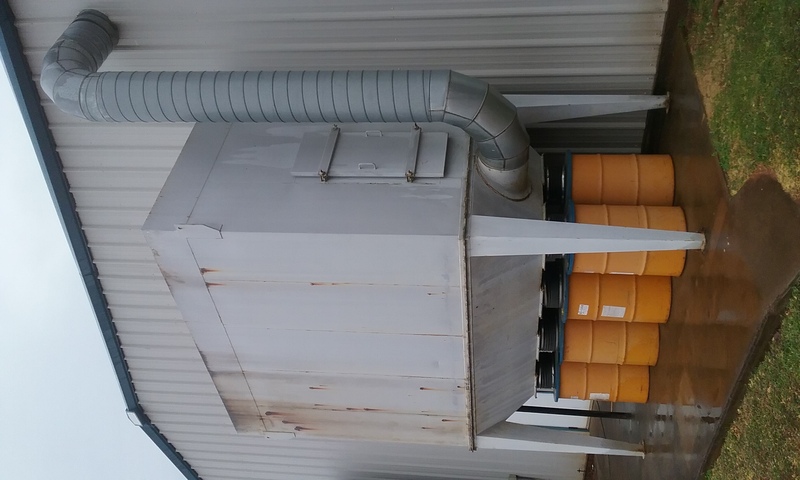 Im going to try to attach a picture of my current dust collector setup. Thanks again for your help.